At times, it might not be possible to install a lift in a wind turbine because of its design, its age or its small height. In this case, the solution is to install a climb assist device. It can be easily retrofitted to ladders in any type of wind turbines. It enhances safety and ease of climb for technicians. It increases productivity. Most importantly, it relieves fatigue, repetitive climbing stress and wearing injuries on knees, feet, backs and arms. Barton was entrusted by Nordex to install and commission a large number of PowerClimber IBEX® climb assist systems in Scottish wind farms. Our technicians underwent rigorous training at PowerClimber headquarters to enable them to acquire an in depth technical knowledge of the various available models. The IBEX® 1000 climb assist system was chosen as it puts complete control over the climbing experience in the hands of the climber, delivering personalised performance, increased safety, and better productivity. The different models of IBEX® Climb Assist offer undisputable benefits. Mount to all metric or imperial ladder sizes and types instead of platforms; adjust to any spacing and length. 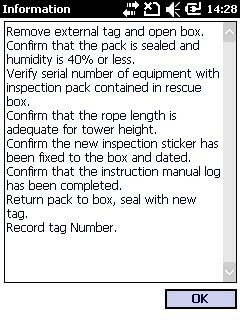 Selection by each user of their own assistance settings at any time via the EasyClimb Controller. Due to contributory factors such as height, confined space and exposure to a range of mechanical and electrical hazards, working inside or outside a wind turbine present serious safety challenges. Furthermore, wind farms are often situated in remote, difficult to access and hostile environment. The emergency services may be some distance away. Therefore, it is important to have the appropriate rescue and evacuation equipment ready and fully maintained but also the staff trained to the highest standards. For the last five years, Barton has supplied and provided rescue accessory kit upgrades to its customer, Vestas. 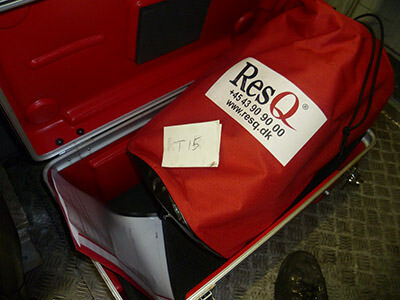 Keeping rescue equipment fit for use at all times in a wind turbine presents serious challenges. Vibrations cause wear and tear to vital components. Temperature variations produce water condensation which leads to corrosion. 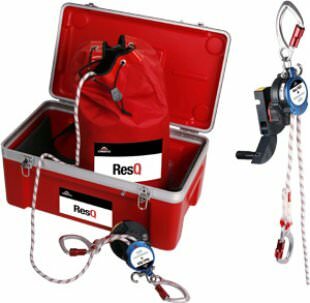 The recognised Cresto ResQ Red Box offers a unique solution to these problems. The patented rescue vacuum packing solution ensures that no condensation can occur as there is no air in the pack and that parts do not move against each other. Furthermore, it offers savings as the service interval can be up to 10 years.